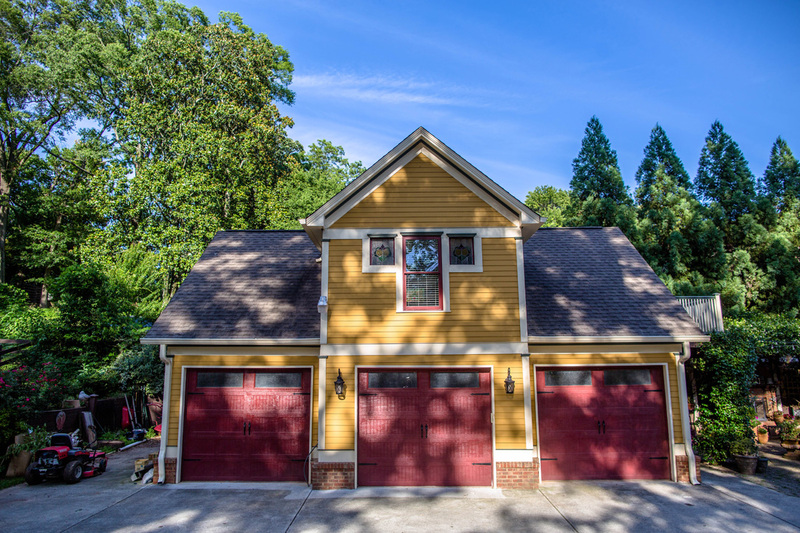 At the end of the driveway of the Social Goat Bed and Breakfast on a tree-lined street in Grant Park, a three-story yellow Queen Anne Victorian home reveals itself. Kristy Smith, owner of the Social Goat B&B, painstakingly renovated the property to reflect her love of vintage style. In 2004, current owner Kristy Smith purchased the property, which, she says, was originally built in 1900 and was meant to house 13 children. After Hurricane Ivan came through that fall, Smith and her partner, Paul, gutted and renovated the home, structurally modernized its interiors and highlighted Smith’s affinity for vintage style, all while maintaining the original character. 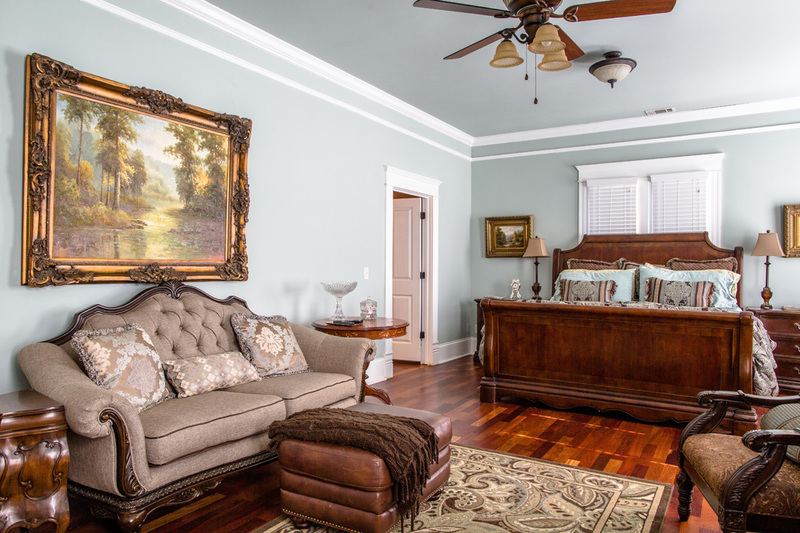 The Master Suite displays Kristy Smith’s love of large, antique furniture and vintage style. “Disassembling a house allows you to reimagine its purpose,” Smith says. In doing so, the couple moved the stairs from the front of the home to the back, where they led to a then unfinished attic. To the new staircase, Smith added a triple stained-glass window that injects soft, natural light into the space. 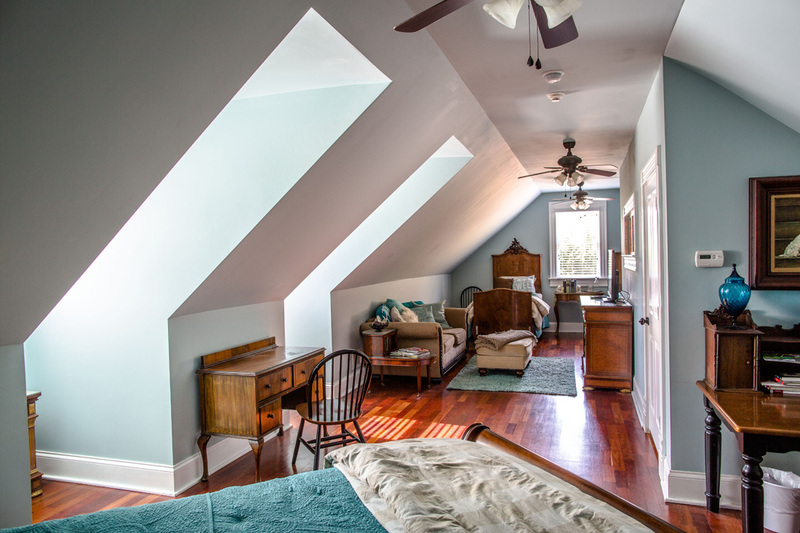 The unfinished attic was then remodeled to create the third-floor suite that includes a private bath, a queen and two twin beds, a sitting area and a separate workspace. Another personal touch, and one that ultimately led to the property’s unusual name, was the addition of the five goats that roam its grounds— a nod to her partner’s upbringing on a farm surrounded by the animals. 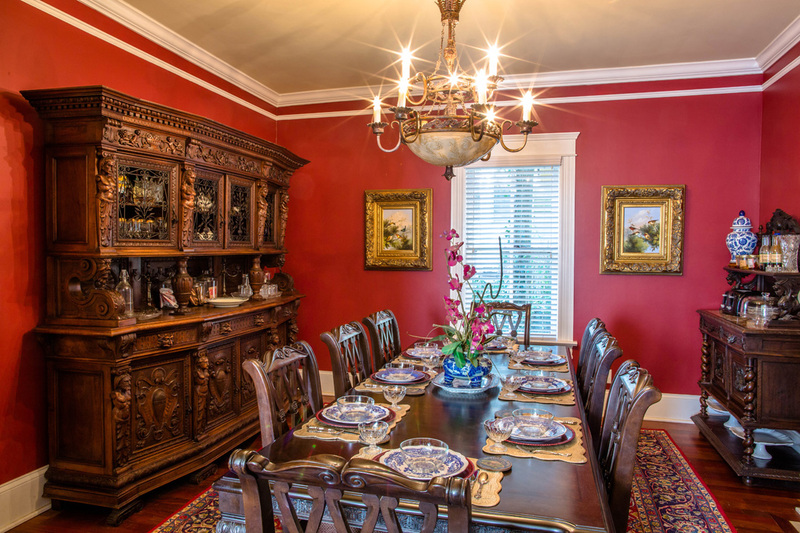 Smith serves homemade breakfasts to her guests at a long table in the dining room. Pleased with the results of their renovation and the home’s refreshed style, in 2011, Smith decided to make use of the extra, empty rooms by opening them for bookings. They set up a listing online and, within 24 hours, had a handful of reservations for the next week. Since then, the bed and breakfast has welcomed 15,000-plus guests. “The Social Goat was born out of building a business on things we enjoy,” says Smith, who relishes the memories guests have made while staying at the house. Light floods the Third Floor Suite. Today, the property comprises three structures, all of which are available for bookings: the main house, whose first floor is where Smith lives and whose second and third floors house guest rooms and suites with private baths; a one bedroom carriage house with 114-year old pine floors, located behind the main house; and, across the street, a standalone, two-bedroom abode Smith calls the Hog Heaven House. The main house, where a long table in the dining room invites guests to enjoy Smith’s daily home-cooked breakfasts, recently underwent renovations that included a repainted exterior, the addition of private bathrooms to the upstairs bedrooms and wrap-around porches where guests can relax in new rocking chairs. In the coming months, Smith plans to build a treehouse in the backyard that visitors can book. Until then, she hopes guests continue to enjoy a little Southern hospitality, if even for a night away from home. 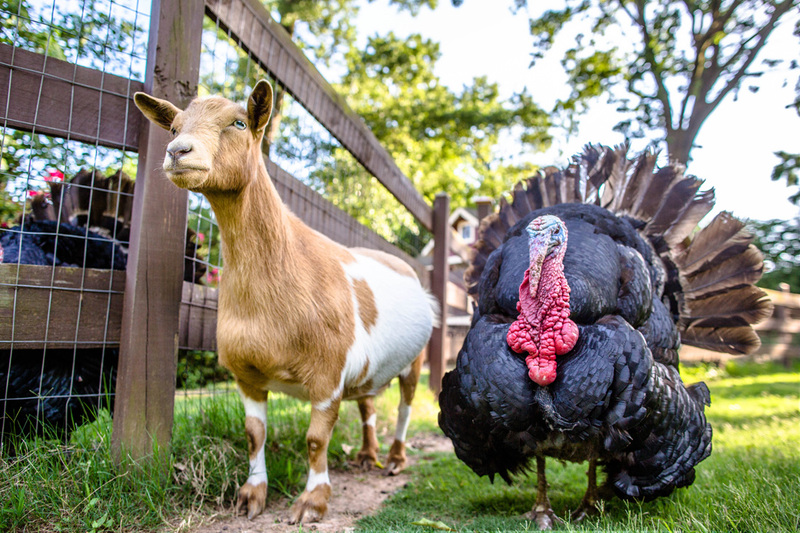 Goats and turkeys are among the animals that call the Social Goat home. The B&B’s equally popular main attractions are its animal inhabitants. 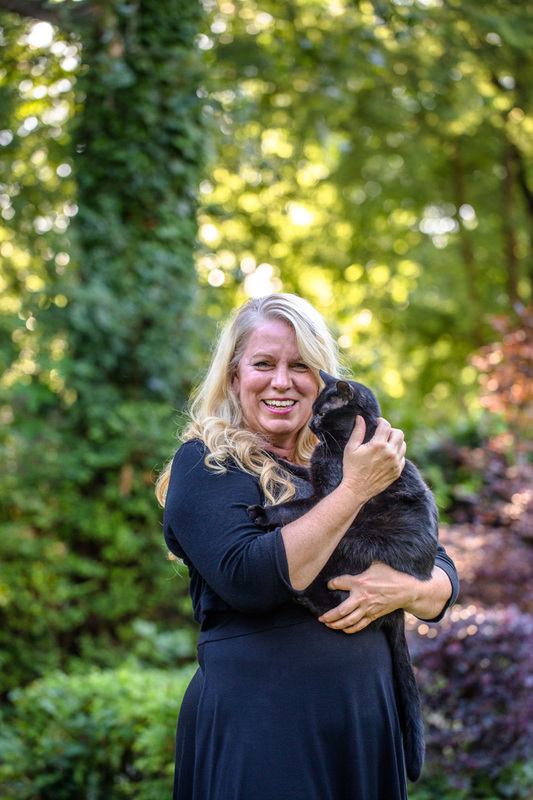 Along with the five goats, the property is home to 10 ducks, three turkeys, chickens and cats, all of whom roam freely in a fenced backyard area. Black goat triplets Maverick, Angus and Minnie Pearl hang out nearby while guests find a quiet spot to read and relax near the small pond or in the gazebo decorated with vibrant purple blooms and winding green vines. 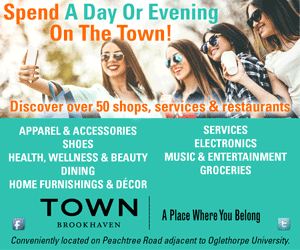 The Three Tenors, a trio of turkeys that often can be found walking up and down the driveway, will welcome you with their gobbles upon arrival at this hidden gem in Grant Park, where a stay is truly a social affair.